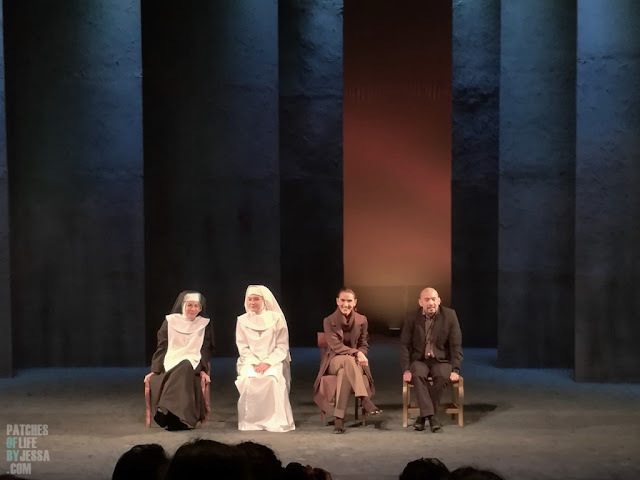 Home / Agnes of God / Event / Greenbelt / Makati City / Play / Repertory Philippines / Review / Theater / Repertory Philippines: [FEB17-MAR12 2017] 'Agnes of God' at Greenbelt1 OnStage! 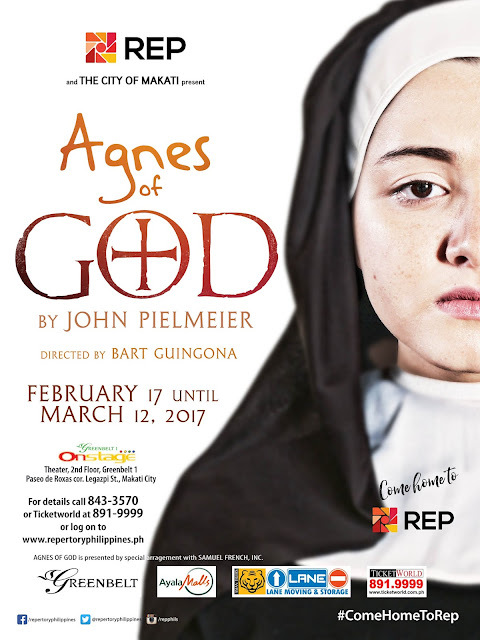 Repertory Philippines: [FEB17-MAR12 2017] 'Agnes of God' at Greenbelt1 OnStage! Celebrating 50 years of theater, REP (Repertory Philippines) brings back an intriguing and thought-provoking play written by John Pielmeier and first seen on stage way back in 1980s -- Agnes of God. Directed by Bart Guingona, the show was played by only three great actresses from different REP generations: Pinky Amador, who played the Agnes role in 1983 where she won Best Actress in Aliw Awards, now takes the Mother Superior role - Mother Miriam Ruth; Menchu Lauchengo-Yulo, a REP veteran, plays the role of a psychiatrist - Dr. Martha Livingstone; and Becca Coates, representing the younger generation of REP actors, takes the titular role of Agnes. 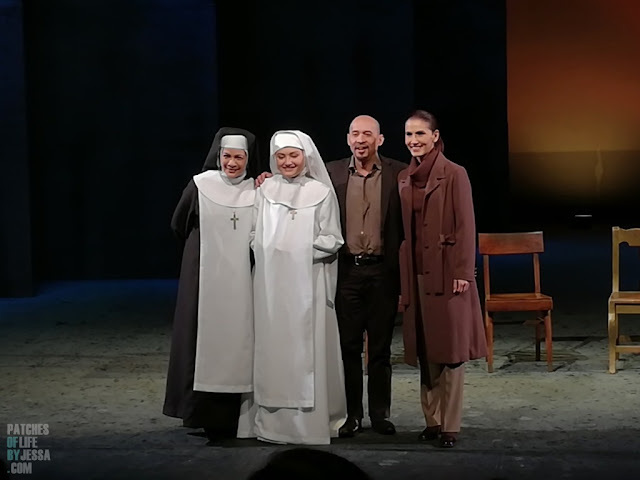 Although Agnes of God featured only three characters, it never felt short as the powerful acting skills were highlighted by the minimalist set design by Joey Mendoza -- vague but versatile. The tall partially overlapping pillars have texture and depth that captivate and set the mood. Looking at it plainly, the story is about a naive nun, Agnes, who gave birth in a convent, but the baby was found dead in a wastebasket. 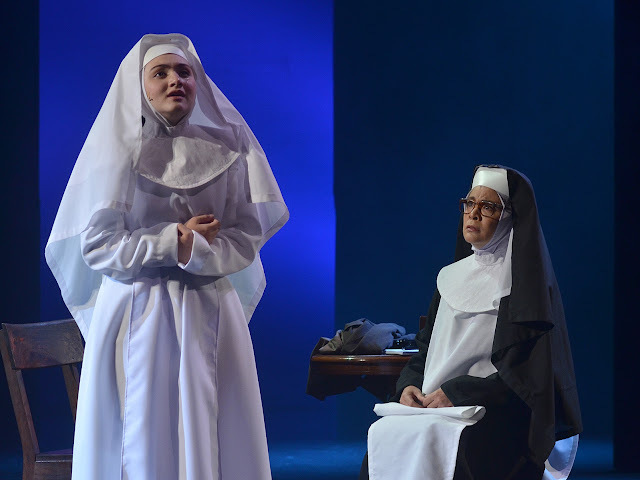 A court-appointed psychiatrist, Dr. Livingstone, was brought in to determine Agnes' sanity but the Mother Superior was determined to protect the young nun. How did the baby end up in a wastebasket? Who was the father? Is Agnes a saint or insane? These are just questions that may or may not be answered in the story. 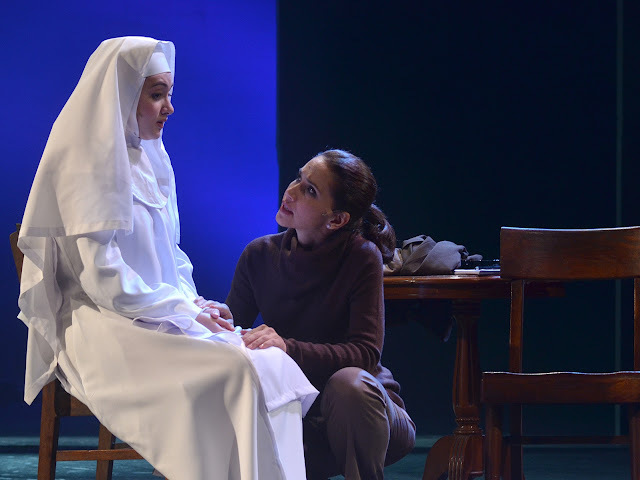 More than a murder mystery, the play tackles an inner battle of belief -- of faith or of science. Both Pinky and Menchu were very credible in portraying their roles and chosen sides that at some point, I had to question my perception of the story. Intense and crisp dialogues and overlapping confrontation lines between the two characters made it even more believable. But it was Menchu's acting that stood out the most for me. 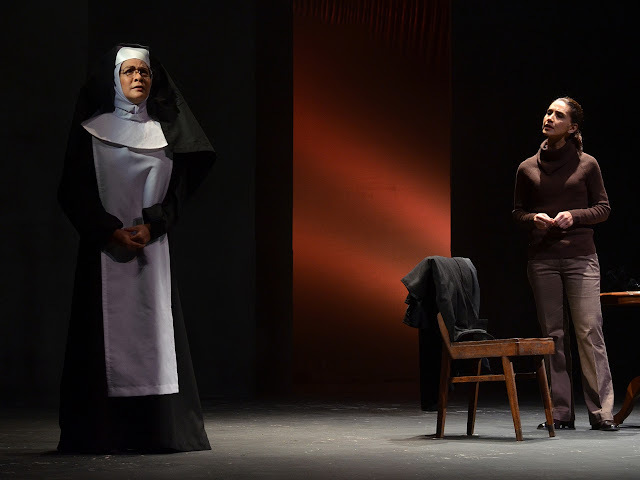 How her role shifted from a determined nun-hating atheist, to someone who has a changed view of the world as she gets in touch with her past while unraveling the mystery of the case. Her role required her to smoke a lot and she was so convincing, though in reality, Menchu doesn't smoke. Pinky was consistently good. Her role appeared strong-willed and protective at first, but later revelations justified why she believed Agnes had an "Immaculate conception". Becca embodied Agnes very well with her sweet and innocent portrayal. Her beautiful angelic voice added to the pureness of the character. Becca's acting exhibited a very fine line between someone so pure and ignorant to the ways of the world, and someone loaded with imagination to the point of hallucination. This highly engaging drama would leave viewers thinking, analyzing, and recalling every scene. Watching it would challenge your belief, whichever side you take, and wriggle your emotions. 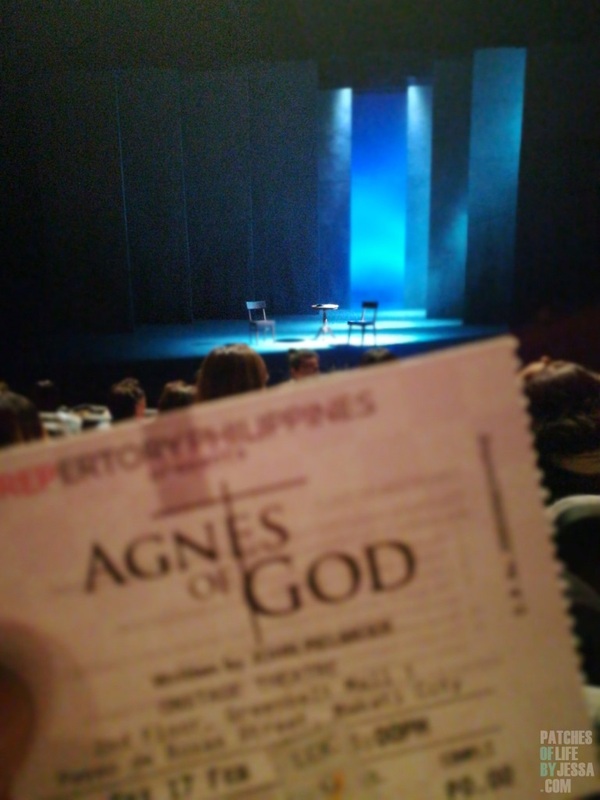 Have your own dose of Agnes of God as the show runs from February 17 to March 12 at the OnStage Theater in Greenbelt 1, Makati City. 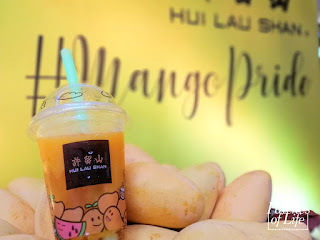 Disclaimer: I was invited as a blogger to feature this show. I did not pay anything.